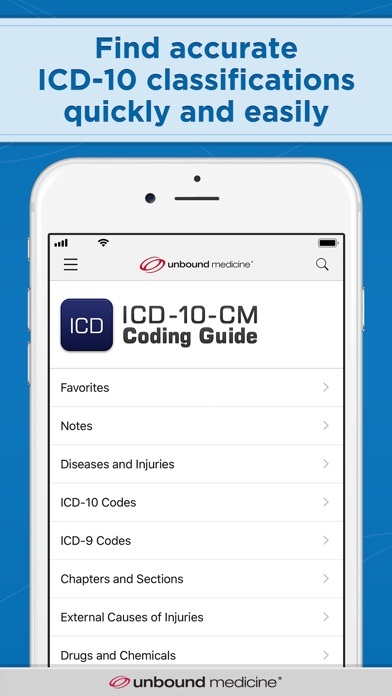 ** Quickly Search and Locate Accurate ICD-10-CM Classifications ** == PLEASE NOTE: You must be a current ICD-10-CM Coding Guide subscriber to download content within this application == ABOUT ICD-10-CM CODING GUIDE The ICD-10-CM Coding Guide is a powerful mobile app developed by Unbound Medicine, an award-winning health care information provider with over 3 million users worldwide. 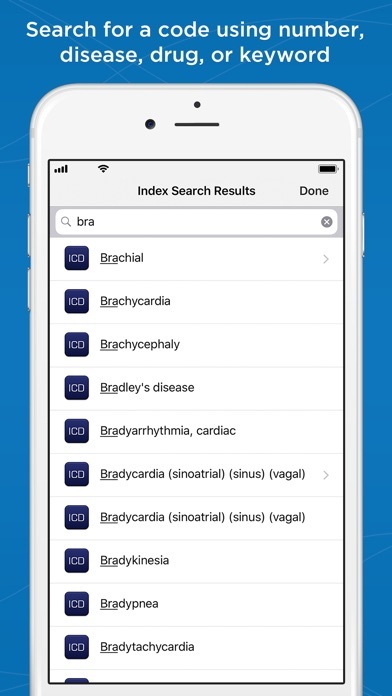 Featuring the latest ICD-10-CM data from the Centers for Medicare and Medicaid Services (CMS), this premium mobile app helps you quickly identify the most appropriate code on your smartphone or tablet — with rapid search by code, disease, injury, drug, or keyword. No internet access is required after initial download. 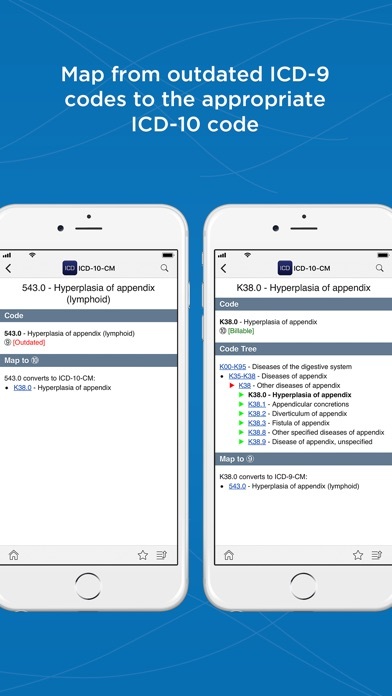 This app is a companion to a full ICD-10-CM Coding Guide web subscription. 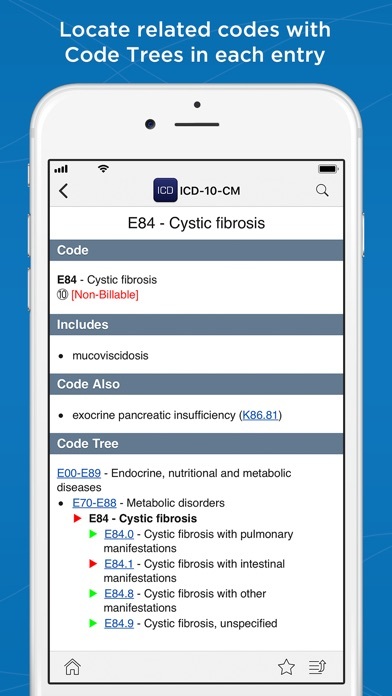 FEATURES • Access to all 68,000+ ICD-10-CM codes • Code and keyword search for fast discovery • ICD-9-CM to ICD-10-CM mapping • Color-keyed Code Trees for accurate code assignment • Make notes and highlights within any entry • 'Favorites' for bookmarking commonly used codes • Companion website for desktop convenience Publisher: Unbound Medicine Powered by: Unbound Medicine HOW IT WORKS • Install the application to your device • Open the application and enter the username and password from the ICD-10-CM Coding Guide website, then tap “Login” • The latest ICD-10-CM Coding Guide content will be downloaded to your device over your wireless connection If you are a new user or institution interested in learning more, visit the ICD-10-CM Coding Guide website. Downloaded and unable to register to use app, it only has where you can login but not register:(. Looks alike it would of been a good app too! Download this free app! Once you do, it is just a login screen with no way to register to access content. Scam! Can I have the web address of the site I need to go to in order to subscribe, so that I may download and use this app? 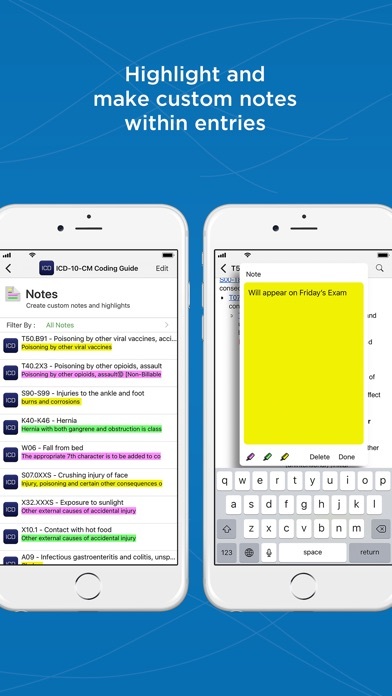 More by Unbound Medicine, Inc.